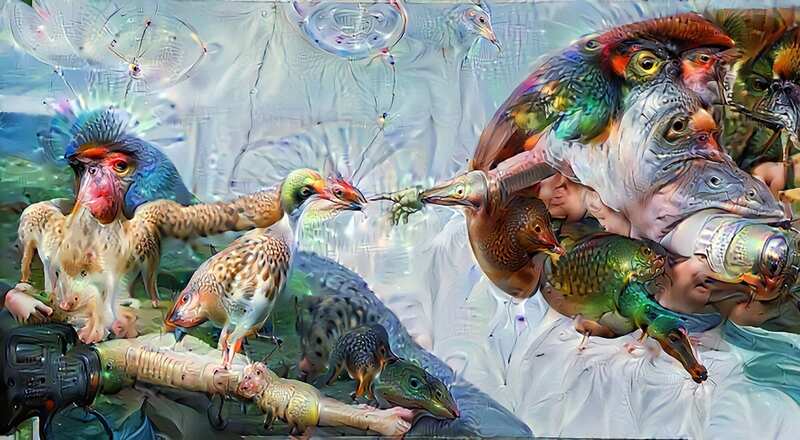 Will a robot be the next great artist? Can a computer write a great novel, paint a masterpiece? Not yet, but algorithms are beginning to prove very helpful in humanity’s quest for creativity. And it won’t be long, some predict, before they’re making that quest on their own. You’re designing an office environment for 250 software workers. Parameters? Many. Time and resources? Limited. Number of employees who would like to have their desk near a window? All of them. And then your creative collaborator, having considered all the options, comes back to you with 10,000 possible floor plans. That’s a lot, unless the collaborator is a program, not a person. 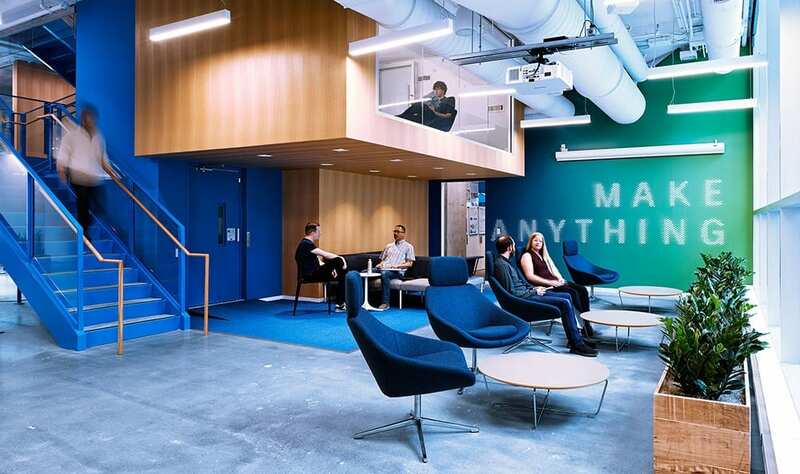 In fact, this surfeit of choices was just what Autodesk, a global creator of 3D design, engineering and entertainment software, wanted from Project Discover, the artificial-intelligence program it developed to help design its new two-storey office space at MaRS, an innovation hub located in downtown Toronto. What’s more, the brainwaves are limited to the ingenuity of who happens to be in the room. In the process, Project Discover, well, discovered, that a “generative” design system can see things we can’t. And because the algorithm “uses concepts found in natural evolution,” according to its creators, it also can ensure survival of the fittest, by “gradually promoting the best options” for serious consideration. What Autodesk has done reveals the immense potential of using AI to turbo-charge the creative process: It can come up with a huge number of possible solutions, but then winnow them down to a practical number. By rapidly running through virtual prototypes of solutions, a learning machine becomes a kind of serendipity engine that powers creativity. But does this serendipity engine still need a driver? The creative approach adopted by Project Discover, says Khan, has sparked “ravenous interest” in all sorts of applications of the software the project is to produce. He sees it being used “to optimize, for example, factory layouts, electronics designs and even entire neighbourhoods.” But AI-driven creation is far from a turnkey operation. There are still some big philosophical hurdles ahead. For one thing, what exactly is creativity? AI might be productive, but does it get creativity? Givoni, who works for Kindred, a Toronto company trying to “enable robots to understand and participate in our world,” says that, although AI can already produce poetry, pop music or movie scripts, “there’s the sense that something is fundamentally missing. In a way, the algorithm doesn’t really get it. Sanja Fidler at the University of Toronto says the advent of AI that “gets it” may just be a matter of time. The assistant professor of computer science and her colleagues have a program that generates pop music — they call it a “neural karaoke” — from photos, as well as another program focused on neuro-esthetics (it can calculate what’s in fashion on the basis of thousands of clothing images from social media). But that won’t last forever, Fidler says. Today, the story — perhaps the most fundamental “unit” of human creativity — is too complex to be reduced to narrative patterns or data sets that a computer can use to generate satisfying results. But in the future, “there are going to be embodied AI agents that build their own world of experiences,” she predicts. And when that happens — when machines can explore the world and gather the stuff of stories — we may see work that isn’t generated by the human imagination. Meanwhile, as scientists struggle to endow a computer with that ethereal quality, the imagination, AI continues to expand its assistive reach into practical realms, from refining Netflix recommendations to detecting email spam and transcribing interviews. Highly useful, but not creative. But back at Autodesk, moviemaking veteran Hilmar Koch looks ahead and envisions a creative middle ground: AI that can do more than assist human storytellers; it can empower them. Koch recently joined the company, after a career as a visual-effects pioneer on such films as Avatar, Star Wars: The Force Awakens and Jurassic World, in a new position: director of research and development for the future of storytelling. An example: Television and cinema are now home to hugely complex story worlds — think of The Walking Dead and its multi-platform spinoffs, or the many layers of Star Wars productions, now so dense with plots, characters and “rules” that Lucasfilm has to employ archivists just to keep track. One of them is called the Keeper of the Holocron, a database that now houses more than 80,000 entries.